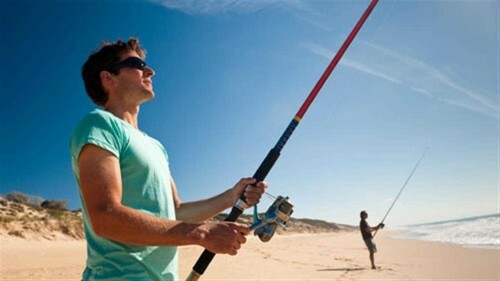 For fishermen spending long days in the sun, excessive sun exposure is an occupational hazard. “The spot was recurring on my lip, had it checked twice and it turned out not to be cancer. The third time the spot came back and my lip turned black, they biopsied that and it turned out to be cancerous.”, said Davis in an interview with BASSMASTER. Despite being almost entirely preventable, skin cancer continues to affect at least one in every two Australians in their lifetime. Skin cancer statistics show that 2 in 3 Australians will be diagnosed with skin cancer prior to age 70. Lip cancer, like Mark’s, is the most common malignant lesion of the oral cavity. In Australia the incidence of lip cancer reaches as high as 13.5 per 100,000 (Read more here). 90% of lip cancers occur on the lower lip, since it has a higher level of sun exposure compared to the upper lip which is shielded by the nose and is angled slightly downwards. Thirty percent of patients with lip cancer have outdoor occupations. Males are also up to 13 times more likely than females to get lip cancer. Sun exposure is a well established risk factor for the development of skin cancer. Less than 5% of all melanomas can be explained by an inherited gene. with a history of severe or blistering sunburns. To help reduce the risks of developing skin cancer, follow these simple rules. For more information about Skin Cancer and how to prevent it, check out our post, Cancer Queensland’s Guide To Avoiding Skin Cancer.